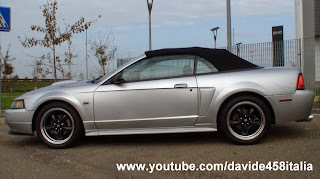 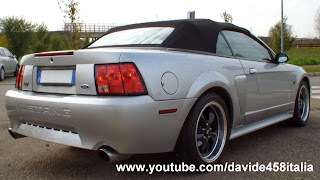 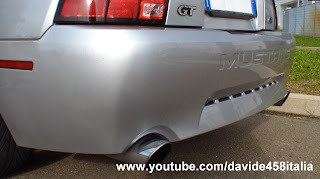 I've filmed this Ford Mustang GT Convertible 1999-2004 fitted with Borla full exhaust system in action! 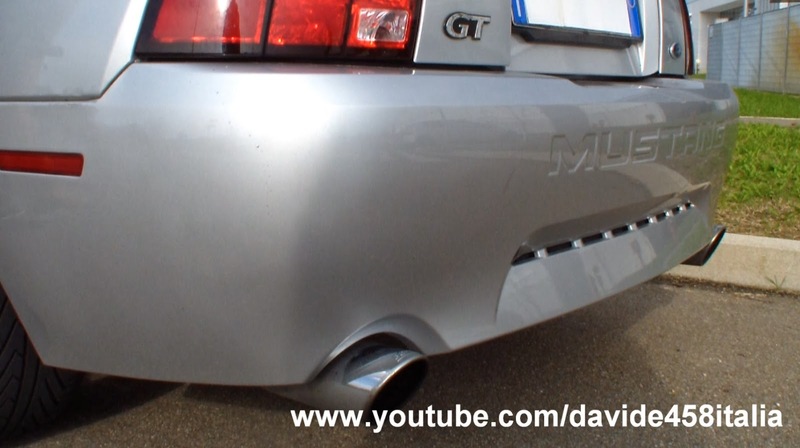 You can see some details of the car, then the start up of the engine, some revs and some launches on the straight. 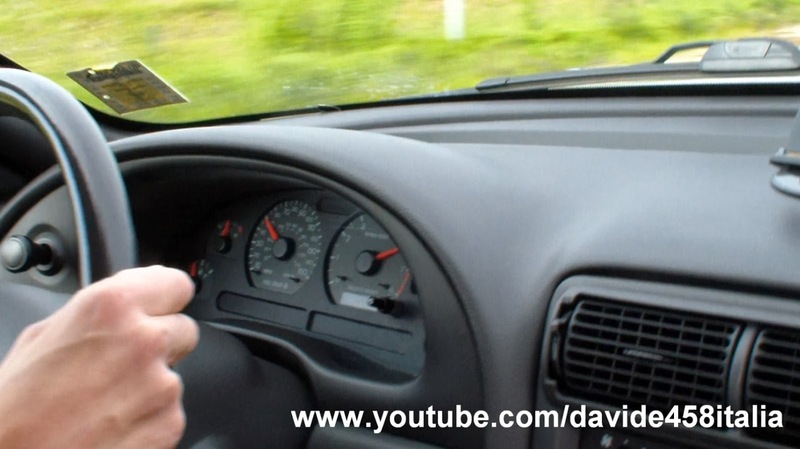 In the video there are also fly bys and on board driving and accelerations. 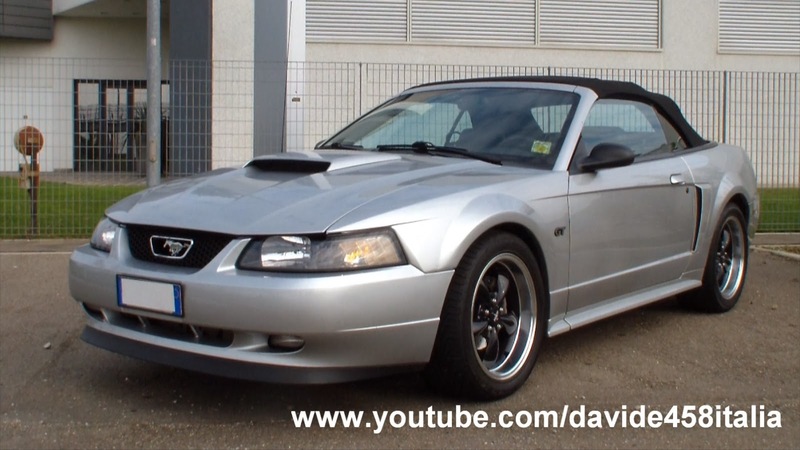 This model features a 4.6-liter V8 engine with 265 hp at 5250 rpm and 409 Nm at 4000 rpm. 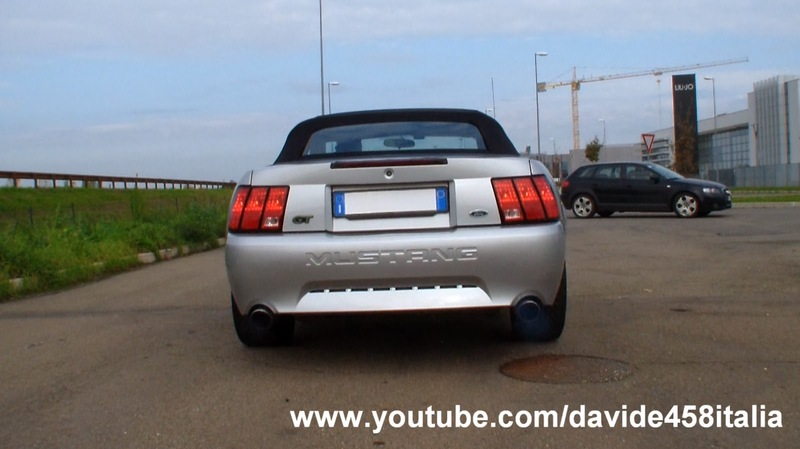 Listen to the brutal sound of this wild American V8 in the video below! Ho filmato questa Ford Mustang GT Convertible con scarichi completi Borla in azione! 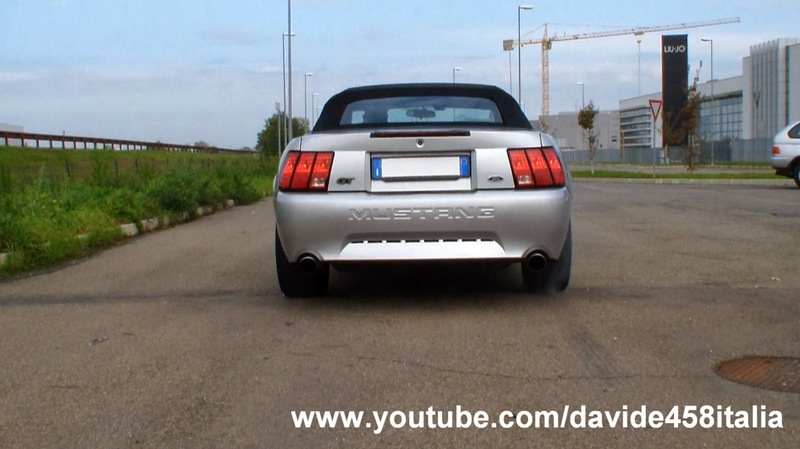 Potete vedere alcuni dettagli dell'auto, l'accensione del motore, alcune sgasate e poi accelerazioni a tutto gas sul rettilineo. 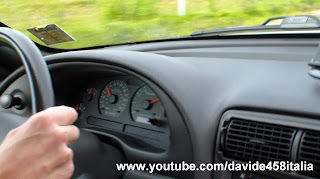 Nel video potete vedere anche passaggi e scene di guida a bordo. Questo modello monta un motore 4.6 litri V8 da 265 cv a 5250 giri e 409 Nm di coppia a 4000 giri. 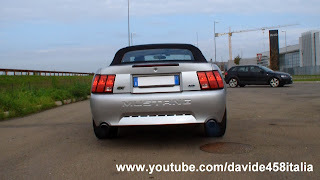 Ascoltate il suono brutale di questo V8 americano!